Thailand is at the height of mango season so I thought I should take advantage of the fruit's abundance. 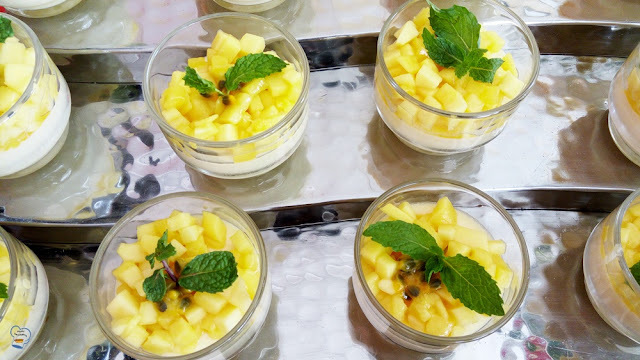 Recently, I introduced passion fruit mousse garnished with ripe mangoes as a new menu item on my long list of Sunday brunch desserts. 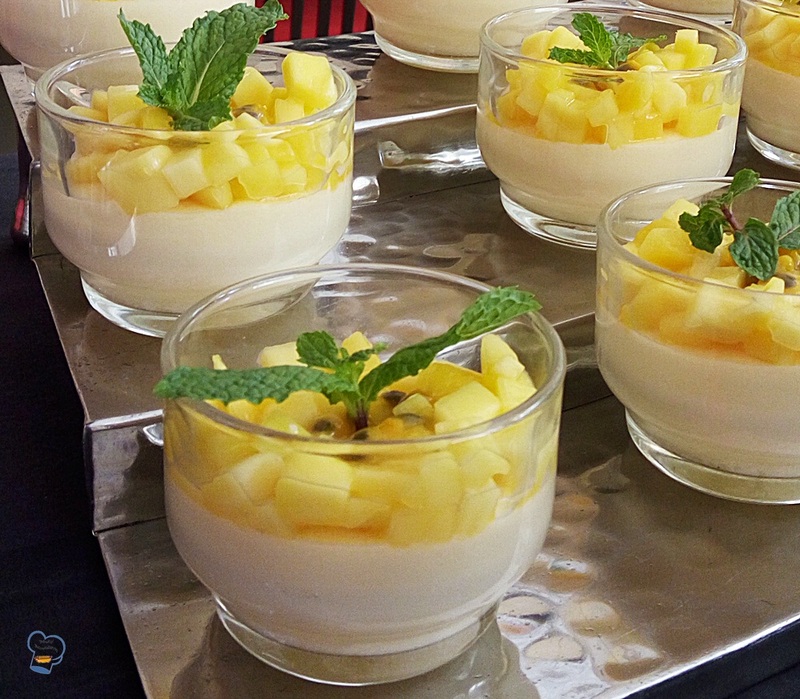 Adapted from Ingrid Hoffman's passion fruit mousse recipe. 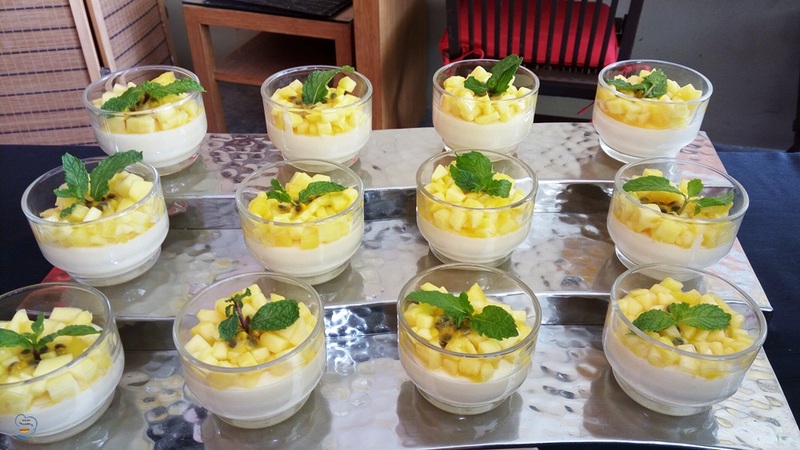 The recipe called for 4 cups of heavy cream which was whipped to stiff peaks, a can of sweetened condensed milk and 2 cups of passion fruit puree. It was quick and easy to prepare. I mixed the puree with the condensed milk and gradually fold in the whipped cream. I did the taste test and made some adjustments until I got the right flavor I was aiming for. I filled each glass with the mousse and kept it in the fridge to chill. Just before serving, I placed the diced mangoes on top and added passion fruit pulp and mint sprigs.